Roam around Mutt Motorcycles’ grittily hip headquarters in Digbeth, Birmingham and you’re likely to stumble across clues to the history of the operation. Granted, the very British marque now specialises in affordable, low capacity Chinese imports that cater for tight budgets, but it is an outfit steeped in true custom history. 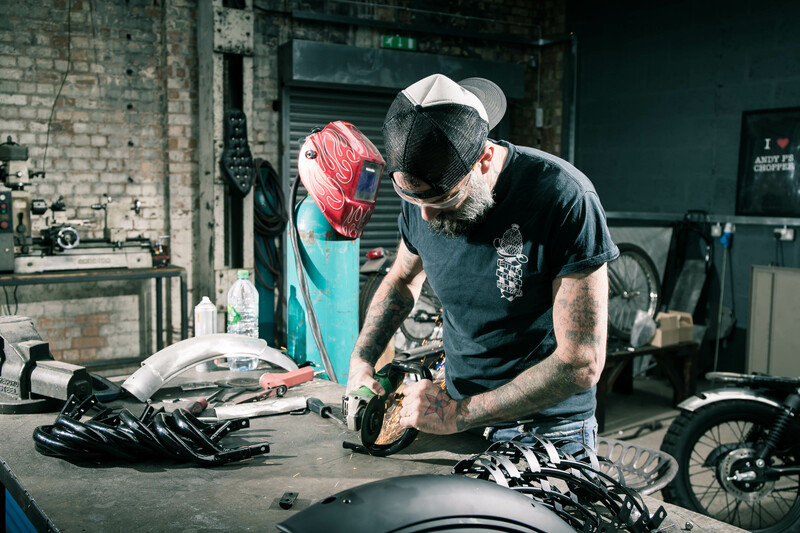 Benny, the hirsute face of Mutt Motorcycles, founded Boneshaker Choppers many moons ago and is a most respected face in the British custom scene, with a speciality in designing, sourcing and fettling ludicrously expensive Harley-Davidsons that costs as much as a new Porsche. But Benny and his business partner Will, who has a background in the disruptive fashion game, spotted a gap in the market for low-powered but equally stylish custom bikes for the commuter market. “There was nothing serving those inner-city guys who wanted a cheap commuter bike that also happened to look cool,” Benny explains, as we take a tour of the new facility. 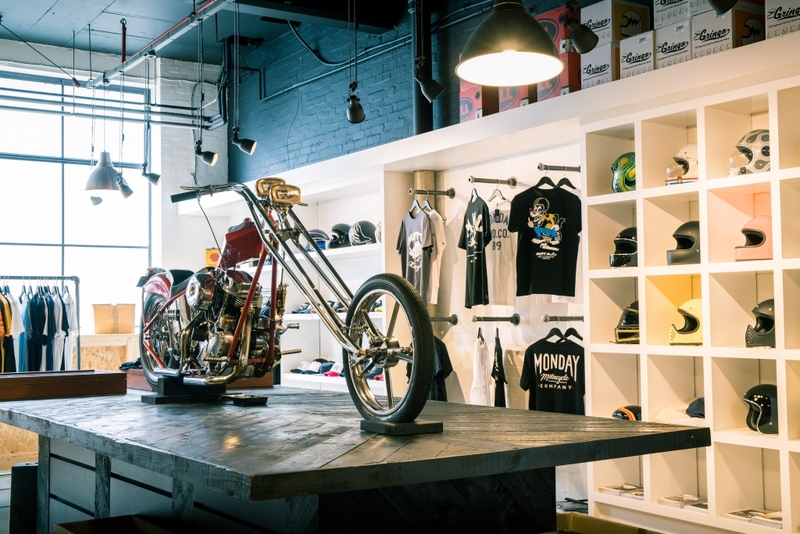 Mutt Motorcycles is based in an area that the hip and happening would describe as ‘up-and-coming’. The old industrial area of Digbeth is slowly transforming into a super trendy neighbourhood that contains music and art studios, coffee shops and artisan manufacturers of stylish goods. “We used to be based out in the country, next to this smart country pile, but it just didn’t work when we started to grow,” Benny explains. “At first, we were hand-building a lot of the machines and selling small batches on the internet, but they would sell out instantly and that’s when we knew we were on to something big and needed more room,” he adds. Mutt’s model is simple: it ships in a basic twin-shock frame and engine from China (the former designed by Mutt) and adds the finishing touches to the machines in its new HQ. 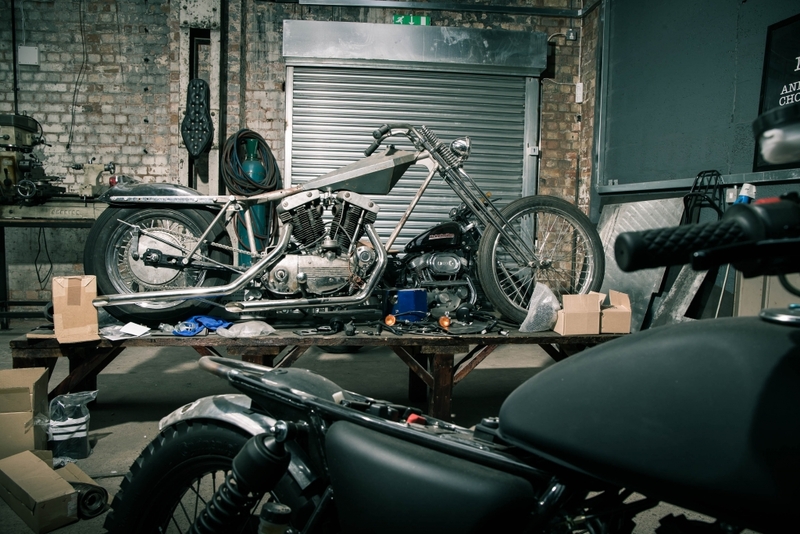 The workshop is packed to the rafters with Mongrels, the marque’s most popular model. These are decked out with a matte black paint job and finished with scrambler-style bars, an en vogue brown leather flat seat and chunky tyres for that hyper cool Street Tracker style. It looks brilliant but due to the nature of the business model, Mutt can offer it to customers for less than £3,000 on the road. Naysayers will scoff at this point but the firm doesn’t make any claims that each and every bike is a hand-built, bespoke custom machine. Instead, they see the Mongrel, and other models in the range, as a good platform for customers to get a taste for the custom scene and potentially move on to bigger and better things further down the line. “Anyone who buys a Mutt can email us with any custom requests,” explains Benny. “We can add different seats, source chunkier tyres, shorten mudguards and even build bespoke exhaust systems. But that £3k bike suddenly looks like £4.5k and it’s not really what we’re all about,” he adds. The beauty of an outfit like Mutt is that it is small enough to feel personable, yet has the big business acumen to run a slick operation and keep costs down for the customer. It cleverly introduces new model lines in small batches, adding machines with one-off paint jobs or small styling tweaks, and puts them in front of the customer to form an opinion. “If a model does particularly well, we will then put that into larger-scale production to ensure it’s not too expensive,” says Benny. While we were shooting the scenes at the HQ, Benny was busy cutting up mudguards, shortening hoops and designing new parts for his latest creations. He’s a true custom bike nut geek at heart and this is highly visible in his work. 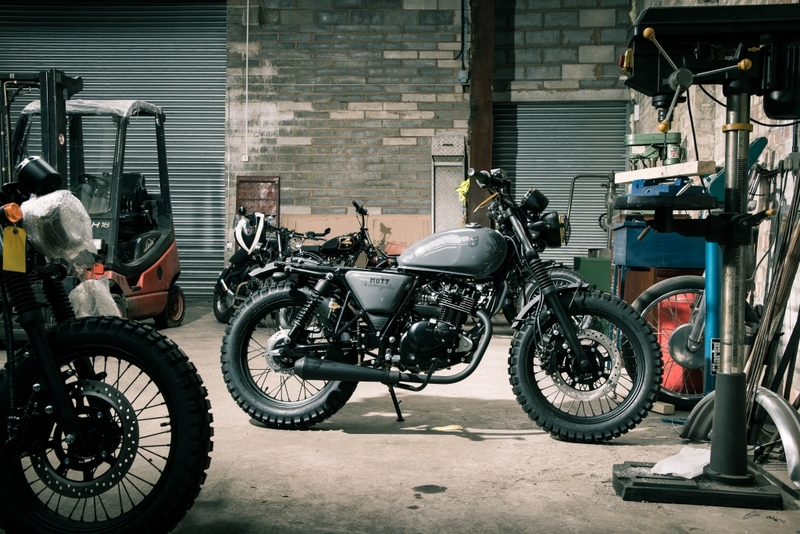 Tucked away in the corner of his workshop is a 400cc test mule that Benny and the team are beavering away at, while a larger 250cc model is due to land imminently. 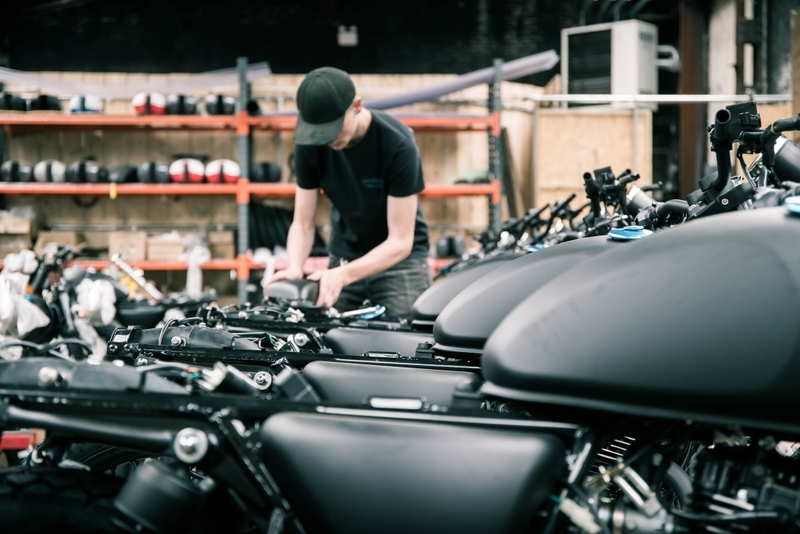 Wander around the facility further and you’ll spot bespoke Mutt’s with a New Imperial logo etched onto the tank – it’s the badge of an old Birmingham-based motorcycle maker that Mutt bought the rights to and plans to resurrect. “I’m an absolute stickler for detail,” he says. “So when I was designing that New Imperial trials bike you saw, I based it on the old British bikes I used to love as a kid – Triumph, BSA and Royal Enfield. “That meant I had to source period tyres, hack up the frame, find the right bars and custom build an exhaust so it looks proper,” he adds. It is this eye for detail that makes Mutt so appealing, because despite the affordable price tag, they genuinely look cool, ride well and feel like much larger bikes than the 12hp engines let on. After a quick blast around Birmingham on a Mutt Mongrel (read about that here), we head back to HQ to take a closer look at the facility. It’s an absolutely enormous plot and the post-industrial architecture lends itself nicely to the on-trend coffee shop, chill out area and pop-up-style store selling Deus, Bell, Biltwell and Dickies gear that is located towards the front of the establishment. “We want this to be a place where people can hang out,” explains Benny, as he leans on one of the many elaborate custom Harley-Davidsons that are dotted around the site. 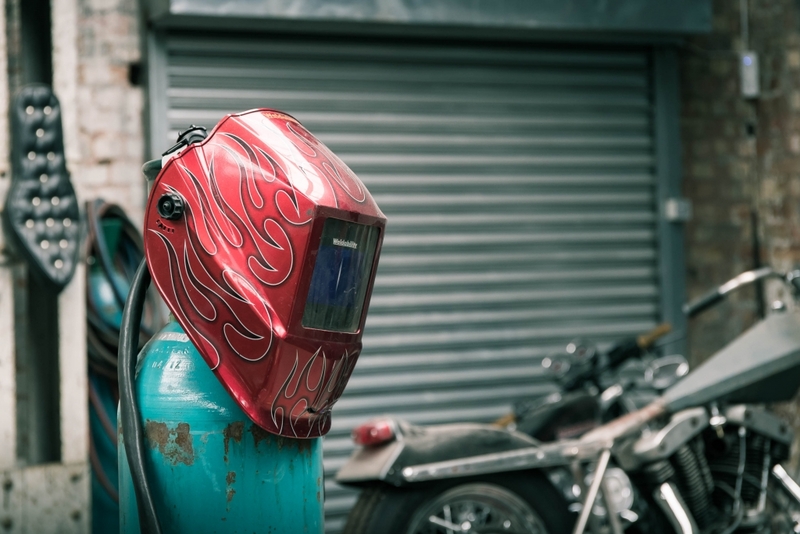 “It’s not an intimidating place like some custom workshops can be and we don’t want non-bikers to feel like they’re not welcome, which is why we have the shop and a place to grab a coffee,” he adds. 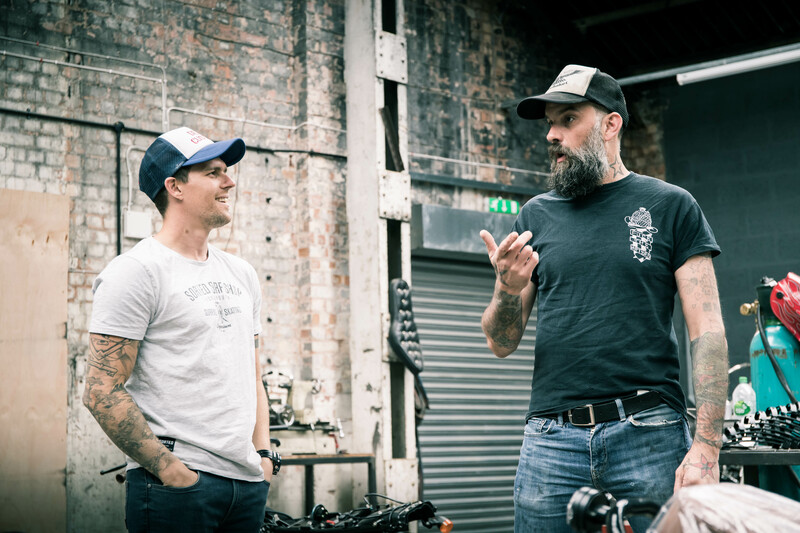 But Mutt HQ is also a place for custom bike nerds to indulge their passions and Benny is always willing to delve deep into his encyclopaedic knowledge of the scene if you’ve got burning questions to ask. Granted, a portion of the motorcycling fraternity may frown at aspect of the operation but Benny knows this. “I’d love to keep production here in Birmingham,” he says. “If I could find someone that will make me a reliable 125cc engine for the amount we need to keep prices down, I’d bite their arm off, but nobody makes that sort of engine here anymore,” he adds. 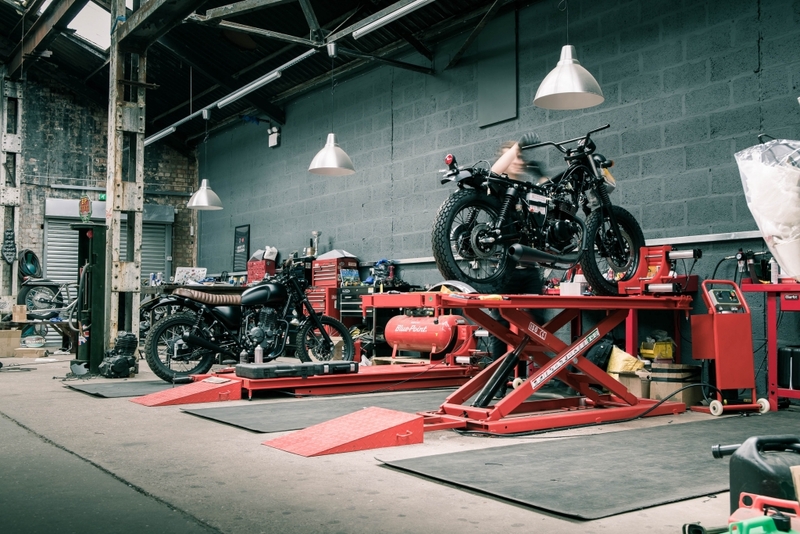 And that’s the thing: if you want a fully-fledged custom machine, fashioned from some obscure British classic, Mutt Motorcycles will happily listen to your requests. But it knows that the only way to attract new folk to two-wheels is by offering a cheap, simple and ultimately cool machine on which they can cut their teeth. 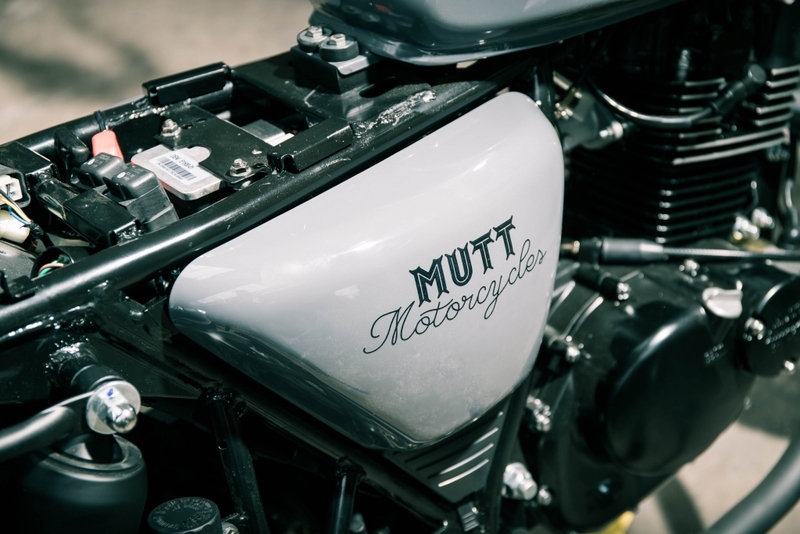 And in this respect, Mutt Motorcycles is currently the top dog. Mutt Motorcycles celebrates the grand opening of its new HQ on Saturday 15th July. Check out the website for more info.